Chris McGowan is a Northern Ireland native who has returned home after a long stint in the UK where he worked at Richard Corrigan’s London restaurants for 12 years. Prior to that, he was Sous Chef for Pierre Koffmann at La Tante Claire, and spent nearly five years working for Gary Rhodes before that. 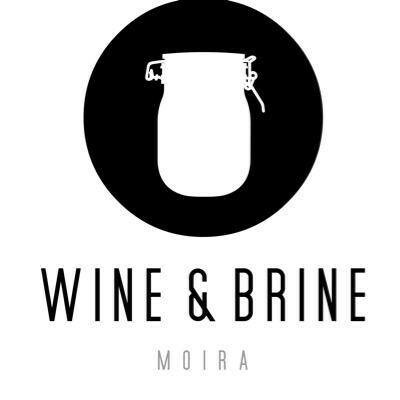 Wine and Brine is his first restaurant which he opened with his wife Davina. It’s on the Main Street in Moira in a Georgian-fronted building. The clue is in the name. It showcases pickled, brined and fermented foods using Northern Irish produce with a lot of ingenuity and flair. Snacks are around £3-4, starters at £6-9 and mains at around £10-£17 from a seasonally driven menu that changes on a weekly basis. Make a date to go soon. This Great British Menu chef really knows his stuff!